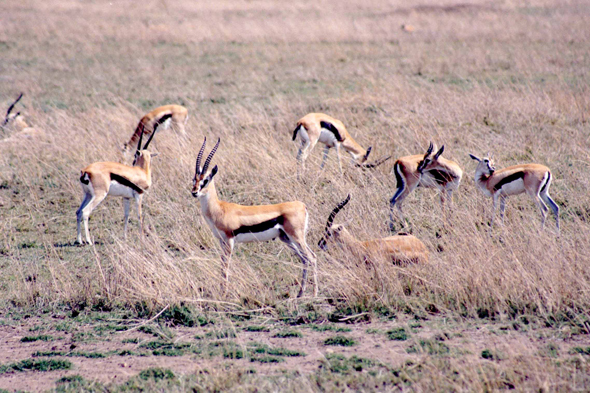 During dy season, Thomson gazelle roams in big groups searching for pastures, otherwise it is rather sedentary. It often takes part in Grant gazelles, zebras and wildebeests. It feeds itself above all with grasses, sometimes with soft foliage.